If you’re anything like me, you’ve got some pretty tatty luggage. 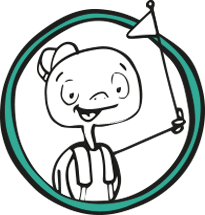 Perhaps a backpack as dirty and bruised as you’ve at times felt after carrying it? Maybe a roller case with worn-down wheels from all the times the terrain was a little rough but you couldn’t be bothered to pick it up? Or possibly a faithful old duffel bag that’s had a few minor surgeries over the years after injuries suffered from excess weight? Whether we go only an annual holidays, short business trips, or indefinite world exploration, we’ve probably chosen our bags based on convenience and other such boring practicalities. But this wasn’t always the way. There was a time when travel was more exclusive than today, when the jetsetters of the world were making a statement not just by doing it but how they did it. And for them, their luggage was all about style – it was a sign to other travellers, to airline staff, to boat stewards and concierges all around the world that they were someone. Guccio Gucci recognised the status and the art in the elegant cases of the guests who came through The Savoy in London, where he worked as a lift boy as a teenager. When he established his famous fashion house in Florence, it was this glamour of travel that he first emulated. 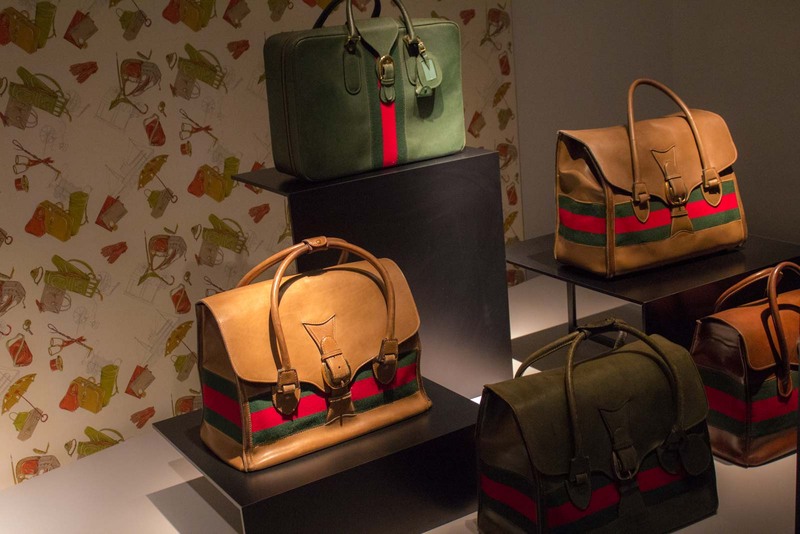 On display at the city’s Gucci Museum are some of the luggage cases and bags from over the years. Stylish, elegant, quality, (and damn expensive! ), they make you slightly envious of the kind of travel that could possibly justify them. I can’t quite imagine turning up to a backpackers hostel with my leather Gucci toiletries case. In the same Florentine square as the palace of the city’s long-ruling Medici family, is the house of fashion. 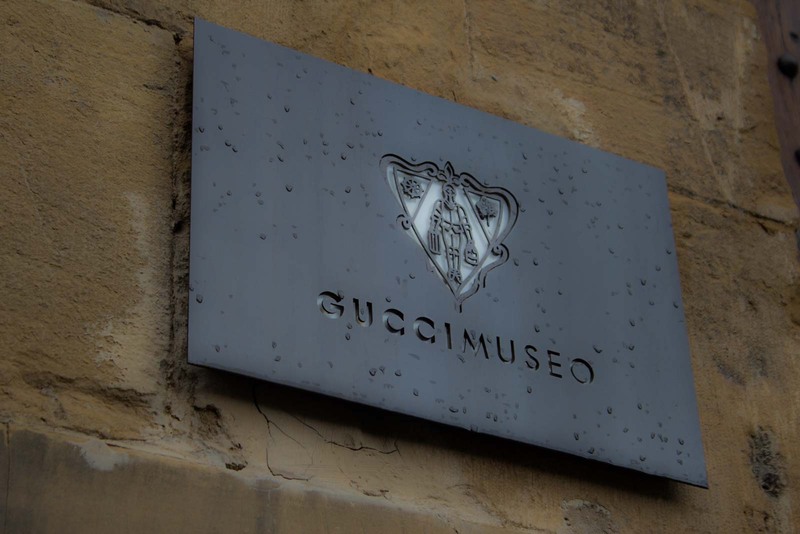 The Gucci Museum is designed with an elegance befitting the label. Well-dressed and modelesque attendants wait in every room to answer any questions (and, presumably, to stop you touching anything!). On entering, you’re given a little cardboard folder with your ticket and a map and in each of the museum’s rooms there is a little bit of information on a card that you can take and add to your folder. Even the toilets, with their granite and marble, have a certain air of grace. Florence is famous for its art and these exhibits are just another form. 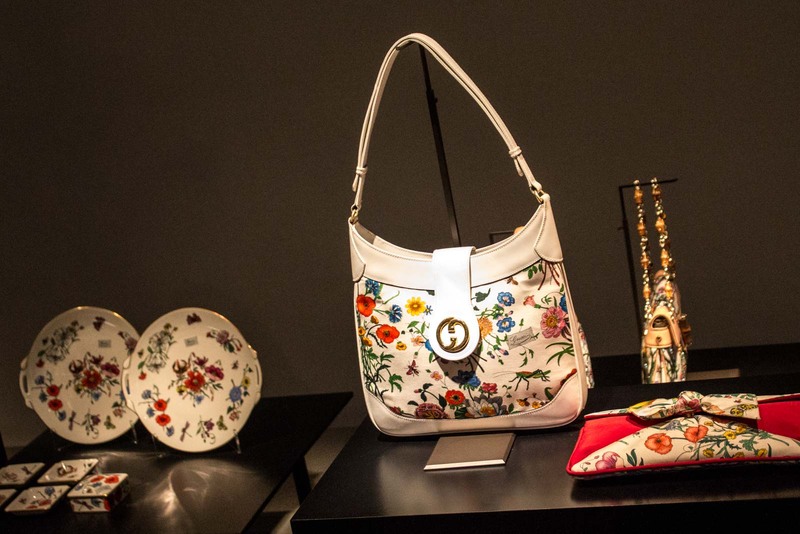 The evening dresses worn by Salma Hayek, Kate Beckinsale and Naomi Watts; the handbags with the famous double G emblem; gold and silver jewellery; and the floral patterns of the sixties can all be admired for their artistic beauty without a connection to the practical or the monetary. Having said that, there are a few items that perhaps take things too far. 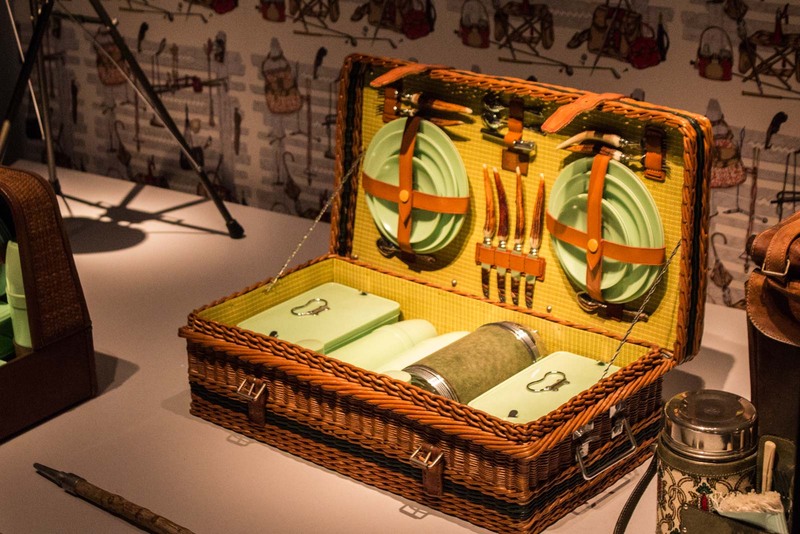 The Gucci picnic set, for instance? The Gucci goggles and flippers? Or maybe the Gucci surfboard? 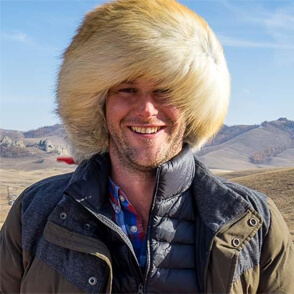 If you thought it would seem strange enough going on holiday with some of that Gucci luggage, just imagine the looks you’ll get at the hostel when you turn up with that! Oh man, I would be way too nervous to take it out the store – let alone travel with it! Too precious to be thrown on carousels and dark trunks. That’s the thing with having expensive items. You don’t want to use them in case they get broken. It’s why I never understand people with $3000 watches, for example! Great and lovely post. Awesom pictures. I would love to see and touch all of those items. They are so elegant! I don’t know what the security guards would think if you tried to touch them! lol my luggage looks NOWHERE near these, finally I’ve recently decided to allow my small trolley to go retired, it’s literally falling into pieces, it followed me around the world and really couldn’t handle the gentle touch of baggage handlers in the airports anymore. They’re beautiful but I don’t like to travel with fancy or super expensive luggage – I feel like it’s just inviting theft! Yeah, good point. You might as well wear a big sign that says ‘I have lots of money, please come and rob me. Oh, and make sure you ask if I’ve got a watch worth stealing too’. It’s hard to imagine those suitcases in today’s airports with people wearing pjs and sweatpants. Grrrr… such a bugbear of mine. I understand that you want to be comfortable on a flight but there is no excuse for wearing a tracksuit! You’re still in public!